Tribune Chronicle / Robert Hayes Natalie Stenton of Harding makes contact Monday against Fitch. Tribune Chronicle / Robert Hayes Lydia Spalding of Austintown Fitch delivers a pitch during her team’s 10-0 victory over Warren G. Harding. 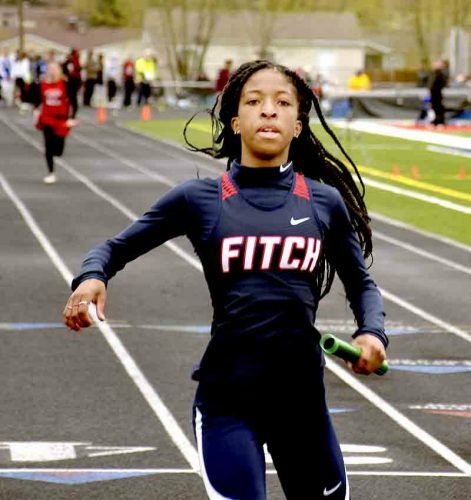 “They (Fitch) came out ready to go, and we stepped out onto the dirt this afternoon not ready to go,” she said. Although her team lost, Poe said she thinks a game like this could help her team grow moving forward. “There’s a learning opportunity in everything we do, I think our players know that. We’re better then what we’re showing. “We practice harder than what we’re showing. We went 1-1 on Saturday with Maplewood and attacked our second game. Our first game was kind of like this. We just need to know that we can attack and we’ll be OK,” Poe said. 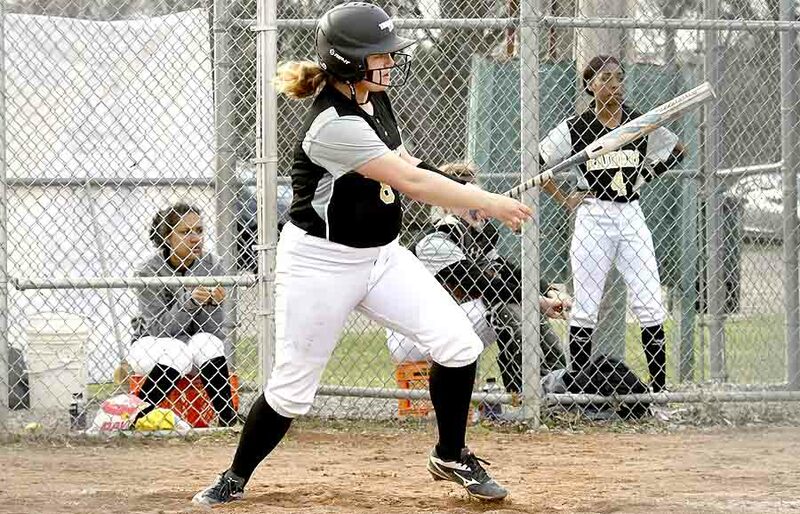 Karlie Heilman went 1-for-2 for the Raiders (3-9) with a double. The Falcons (5-4) started off hot and never let their foot off the gas, as they scored in each of the first four innings of the ballgame. Maddy Taylor, who went 2-for-3 with two RBI, said her teammates feed off of each other’s energy. “I do feel that it was contagious today, we build off of each other and when one person does a good thing, the next person does another,” she said. Jenna Chmelik, who also had two RBI, said she felt the same way about her team. 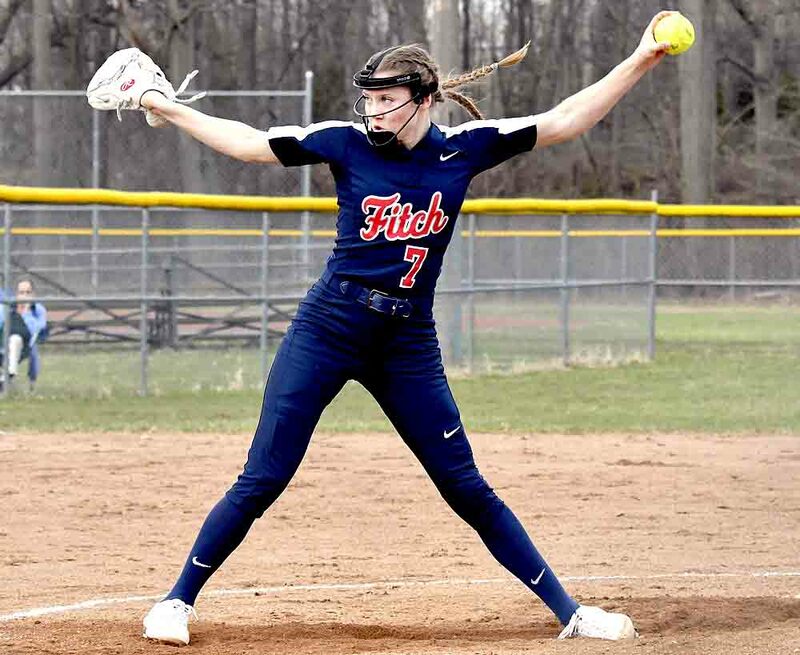 Fitch also pitched well, as Lydia Spalding pitched three shutout innings to start the game, while only giving up three hits and recording five strikeouts. Kaitlyn Evanko came out of the bullpen in the top of the 4th inning, and only allowed two hits, while recording a strikeout.